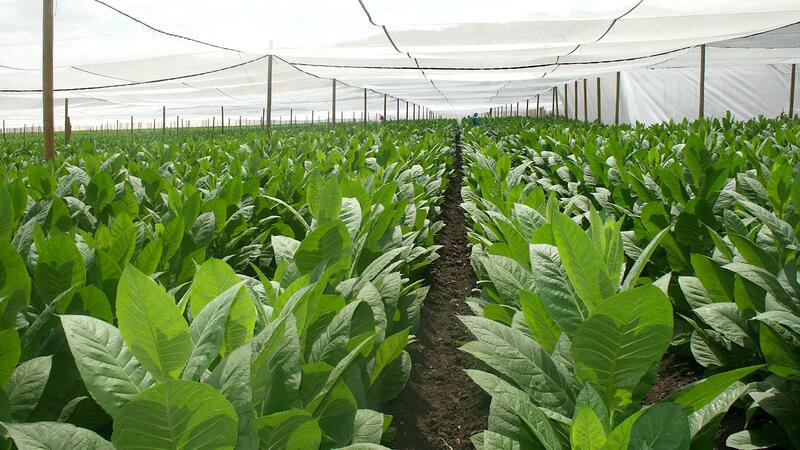 As Nicaragua approaches the end of its 2018–2019 tobacco-growing season, reports from some of the country’s major growers of premium leaf are mostly optimistic. The primary regions in Nicaragua for cultivating premium tobacco used in handmade cigars are Jalapa, Estelí and Condega, all located in the northwestern part of the country. Most of the growers we spoke to not only grow tobacco, but they are also cigarmakers with factories in Nicaragua. “The weather has been very good,” says Nestor Andrés Plasencia, who with his family grows around 2,000 acres of premium cigar tobacco in Nicaragua. Plasencia planted the first tobacco seedlings of the season in October and will have tobacco in the ground until June. “We own 12 farms in Nicaragua alone, and have farms in Estelí and Jalapa,” Plasencia adds. “And we have independent farmers who we provided with plants and technical assistance in Condega and Ometepe.” Ometepe is a volcanic island surrounded by Lake Nicaragua that’s known for its nutrient-rich soil. This year, he estimates a harvest of 3.5 million pounds of tobacco for handmade cigars, half of which will be of wrapper quality. “We grow different types of Habano-seed, Connecticut-seed and, in the last crop, we [also] grew some broadleaf,” he says. The Plasencias have been growing tobacco in Nicaragua for the premium cigar industry for decades. While they sell tobacco to much of the handmade cigar industry, they also keep their own factories supplied with tobacco for their own premium brands such as Plasencia Alma Fuerte and Alma del Campo, both of which are made entirely from Nicaraguan tobacco. ASP Enterprises, which specializes in growing filler in Estelí, harvests two crops in Nicaragua. “We grow in two shifts so the first transplanting we have harvested and it is in curing barns,” said owner David Perez. He said the quality of that first harvest was good, but there was “lots of breakage” due to high winds. Breakage is far less of a problem with filler tobacco than with wrapper or binder. While ASP grows tobacco for the premium, handmade industry, it doesn’t have a brand of its own. By contrast, the Garcia family produces cigars in Nicaragua at My Father Cigars S.A. and also grows tobacco for its own brands (and the contract lines made within the factory) but doesn’t sell any of it to third-party factories. 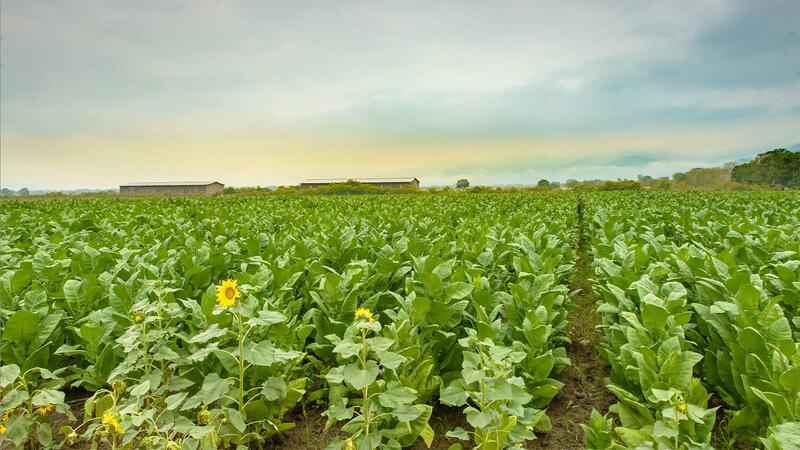 A lush field of tobacco in Estelí, Nicaragua. It's one of many farms owned by the Plasencia family. Tabacalera La Estrella, which is a sister company of My Father Cigars, cultivated 960 of acres of tobacco this year in Nicaragua. Most of it was grown in the open sunlight, and nearly 85 acres were grown under shade, all of it from Corojo seed. The tobacco will be used to make the My Father brand and other cigars from the Garcias such as Flor de Las Antillas and contract brands like Tatuaje. The Garcias had a very good year, growing tobacco in Estelí and Jalapa, but they also grow in the regions of Namanji and Limay as well. Cigar Aficionado’s No. 2 cigar of 2018, the My Father La Opulencia Toro, contains tobacco from three of the Garcia family’s plantations. Aganorsa, one of the largest growers of premium tobacco in Nicaragua, tells Cigar Aficionado that it’s enjoying a banner crop this season. Aganorsa grows 1,530 acres more or less evenly split between Condega, Estelí and Jalapa. Most of Aganorsa’s tobacco is classified as Cuban-seed Corojo ’99 and Criollo ’98, although Fernandez says that about 90 acres are dedicated to a new project: shade-grown Corojo ’99 in Jalapa. “We expect a [total] yield of over 15,000 bales at 110-pound weight in Nicaraguan tobacco,” Fernandez says. That amounts to more than 1.5 million pounds of tobacco when the season concludes. In addition to growing and selling tobacco to other premium cigar companies, Aganorsa also makes cigars by hand at the eponymous Aganorsa Leaf factory in Estelí. Like the Plasencias, Aganorsa is its own supplier of leaf. Formerly known as TABSA, the Aganorsa Leaf factory is known for contract brands including Illusione OneOff and The Wise Man Maduro, but also makes its own lines such as the JFR Lunatic Habano. All three appeared on Cigar Aficionado’s Top 25 Cigars of the Year list for 2018.